Dynamic Duo: The battery of Maddie Penta and Megan Horsey was the spark behind Bohemia Manor Saturday. Penta struck out 12 and knocked in two runs and Horsey had two doubles and two RBI as the top-ranked Eagles completed a perfect season with the Class 1A state softball championship at the University of Maryland. In softball, there’s probably no bigger relationship than between a pitcher and catcher. Take Maddy Penta and Megan Horsey for example. The duo has been the driving force behind Bohemia Manor, and Saturday afternoon, enjoyed one final collaboration as the No. 1 Eagles defeated Frederick County’s Catoctin, 4-2, in the Class 1A state final at the University of Maryland Softball Stadium. In a match delayed nearly two hours because of rain, the Cecil County school overcame an early deficit to complete a perfect season (23-0). The Eagles became the first Cecil program to go back-to-back since Rising Sun’s run as 1A champs in 1997 and 1998. 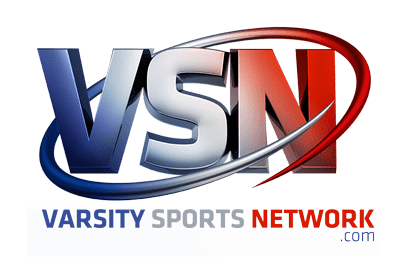 Last spring, the Eagles won their first softball state title since 1995 behind the precocious Penta, who earned VSN’s Pitcher of the Year honors as a freshman. She capped her breakout campaign with an 18 strikeout, three-hit shutout in the state final against Allegany. Penta wasn’t as dominant Saturday, striking out 12 with two walks and hit a batter. She allowed three hits, including a pair of triples, but retired 11 of the final 12 batters. She got support from battery mate Horsey, whose two-run double in the third put Bohemia Manor ahead for good. Her leadoff double in the second, followed by Penta’s RBI double, sparked the Eagles’ comeback. Horsey said she wanted to give Penta’s assistance on a humid afternoon. After four Catoctin (19-6) batters reached in the first three innings, Penta allowed just two the next three innings before a band of heavy rain fell for nearly a hour. With four outs left in the game, Bohemia Manor wasn’t thinking how it would celebrate while waiting inside Xfinity Center. The Eagles finished the task as Penta struck out the first two batters in the top of the seventh. She got Catoctin’s Taylor Beckley to line out to Carlee Ferguson at third to end it, nearly four hours after the game’s first pitch. Horsey and Penta each finished with 2-for-3 with 2 RBI and junior Aubrey Heath also went 2-for-3 and scored a run. Abigail Heath and Morgan Koehler each singled. The Eagles, who trailed before their opening at-bat against Perryville in the East Region semifinal last week, weren’t in panic mode after a 2-0 deficit Saturday. After graduating a huge senior nucleus last spring, Bohemia Manor leaned on seniors Horsey, Anna Tidaback and Melinda Morgan to bring along eight sophomores and or freshmen this season. The Eagles will bring a 32-game win streak into next season. Penta, whose mother Susan (nee Dugan) was the star pitcher on the Rising Sun back-to-back state title teams 20 years ago, was more comfortable this year. “I’ve really grown with my teammates and gotten to know them as people,” said Penta. Especially Horsey, who will play for McDaniel College next spring.